Slug patrol in Bramshott – Report on Nematode use! I have spent many years trying to manage the slug population in our garden here in Bramshott, and been beaten by the brown and black creatures many times, despite using slug pellets, water in products, beer traps and upside down empty grapefruit shells to try and deter the hole-in-leaf producing effects of the otherwise harmless garden slug! 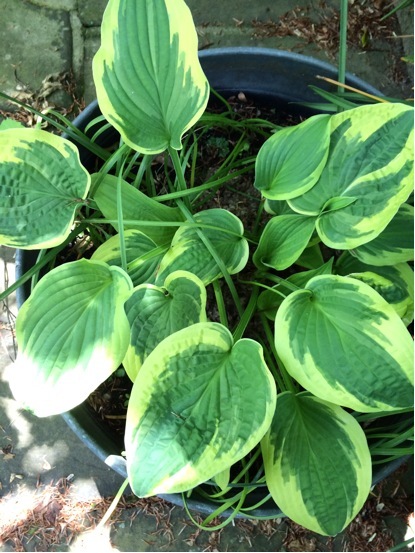 I regularly took to evening patrols to catch them coming out of all sorts of nooks and crannies on their nightly marches to my best plants, and especially newly planted bedding! 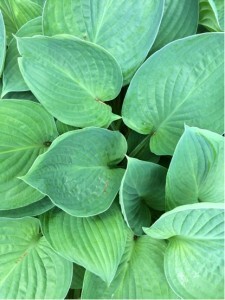 I could have won the prize for holey Hostas and other plants many years running, until I discovered and tried a revolutionary treatment (to me anyway!) That would be NEMATODES! I had heard that this was a live product which you can buy and apply to garden areas, and they work their magic underground. Finding slugs who had been unaffected by the other topical products would also be a thing of the past! Only available via the internet/postal services and not available in Garden centres as they are a live product! The order was delayed by a couple of weeks while they obtained some more and so I waited for my delivery! When they did arrive, I had to keep them in their protective packaging in the fridge and not let they dry out until the weather conditions were correct for application. The required conditions for application are: not too cold, not too dry, in the evening, in anticipation of light rain and moist conditions for next 10-14 days! I discovered that I had to apply the nematodes , which looked like tiny white specks, in dilution, so added the approx amount (not very scientific but about a tablespoon in amount) as instructed to each full 10L watering can and then watered them in by hand across all of the flower beds, wetting the soil, using a rose nozzle of the correct size. I applied the solution to the whole garden. I then re-read the instructions which read apply further watering can to each area treated, so I then watered the whole garden again! It seemed like a lot of work and then I had to wait to see the results. I am delighted to say that this method of slug control worked that year and quite quickly I saw results and I also saw no evidence of dead slugs anywhere…they just disappeared! So I was the proud owner of complete-leaved Hostas and other plants. The following year I waited so see what, if any effect would be achieved as I had understood that these magic nematodes also dealt with the slug eggs (as such) and therefore lack of future slug populations/effects….and they did! I am now in year 3 since original nematode application and the pictures show the continued benefits!! I was prompted to write this following over-hearing a comment from a Pop Up Pubber at our recently hosted event (May 15) with regard to the Hostas, in all their glory in our garden, as we have all seen ( and may have owned) ones which the slugs have also enjoyed! I can truly recommend this method of slug control. I understand from looking at the internet that you can obtain specific nematodes for different purposes but I can thoroughly recommend the purchase and application of the ones specifically for slug control! Good luck!